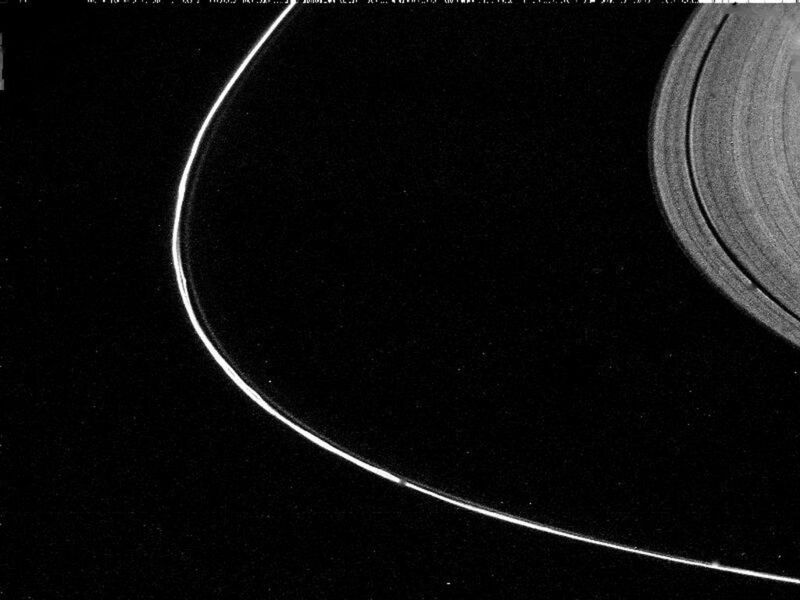 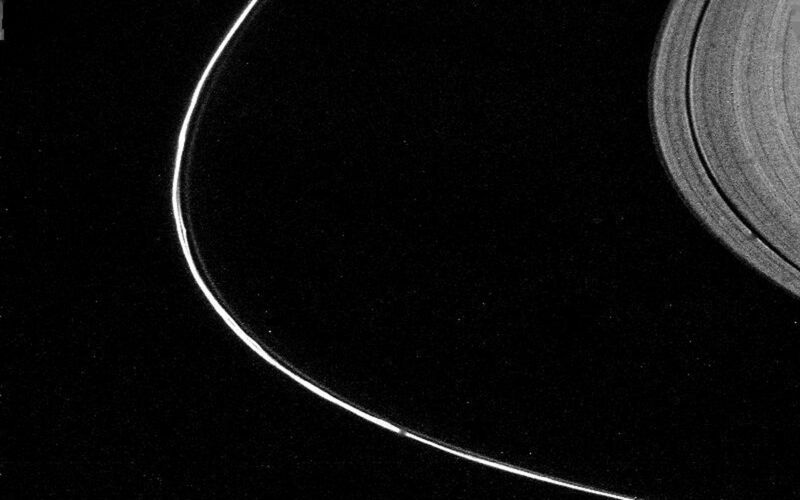 This narrow-angle camera image of Saturn's F Ring was taken through the Clear filter while at a distance of 0.75 million km from Saturn on 12 November 1980. 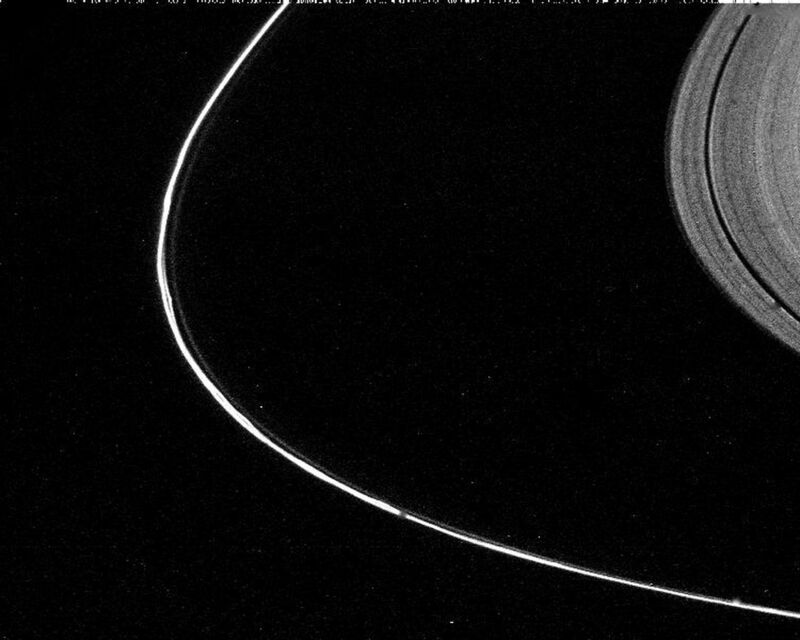 The kinks and braids of this tightly-constrained ring are visible along with the outer edge of the A Ring. JPL managed the Voyager Project for NASA's Office of Space Science.